Rates above are price per room. Additional fees & taxes may apply. All rates are in USD. For multiple rooms contact an agent. Come inside this incredible Resort and you'll instantly understand why Sanctuary is part of its name. Within your tastefully appointed suite or villa, the ingredients for serenity unfold with marble baths, fine linens and silk bathrobes and slippers. Step outside and it continues with five swimming pools - one filled with saltwater - and a full-service Spa. Sanctuary. Heaven. Retreat. 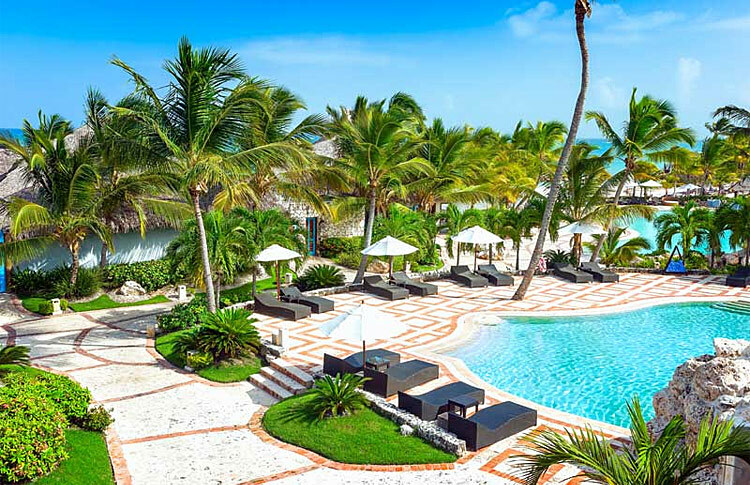 Whichever word you use, the extraordinary accommodations, amenities and activities you'll enjoy at Sanctuary Cap Cana may just leave you speechless. Located right across from the Sanctuary Cap Cana Hotel, Sanctuary Town features 9 premises, including great places to eat, two themed bars and a food truck with new approaches to the local culinary variety. Sanctuary Town combines authentic ambience and unique décor on each venue. Its atmosphere will transport you to a different place and era; and each bite will be a delight to your senses.